1. Choosing generic language. Especially when it comes to providing feedback and instructions, you need to be specific and direct. Tell people exactly what they need to do to improve, and describe specifically what they did to warrant any praise. 2. Lecturing. If during meetings you are the only one talking, you aren’t benefiting from the feedback and ideas of your employees. Brainstorm with employees, elicit their feedback and collaborate often to find solutions to problems. 3. Fostering distrust. If you lie, hide information, cover up issues, make excuses or point fingers at others when things go wrong, people won’t trust you. Furthermore, you’ll encourage that behavior in others. Be as transparent as possible. 4. Failing to be tactful. 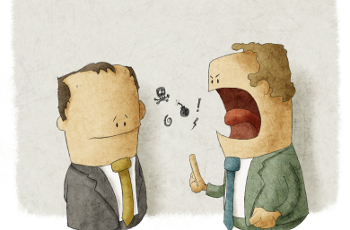 When you say whatever is on your mind, lash out at employees and use offensive words, people tune you out. Worse, they become angry and stop working hard. Always maintain your cool, use tactful language and be diplomatic. 5. Relying only on what’s said. Employees aren’t always going to have the courage to correct you, shoot down an idea or complain. You need to first empathize with employees and understand their viewpoints so that you can anticipate their concerns. Also, monitor morale and step in quickly to fix problems. — Adapted from “9 Reasons Communication Fails,” Dianna Booher, Fast Company.